I first met Steph & Brendan for lunch at TATTE (my go-to spot in Harvard Square) and within minutes of chatting with them I knew I had friend-crushes on them. 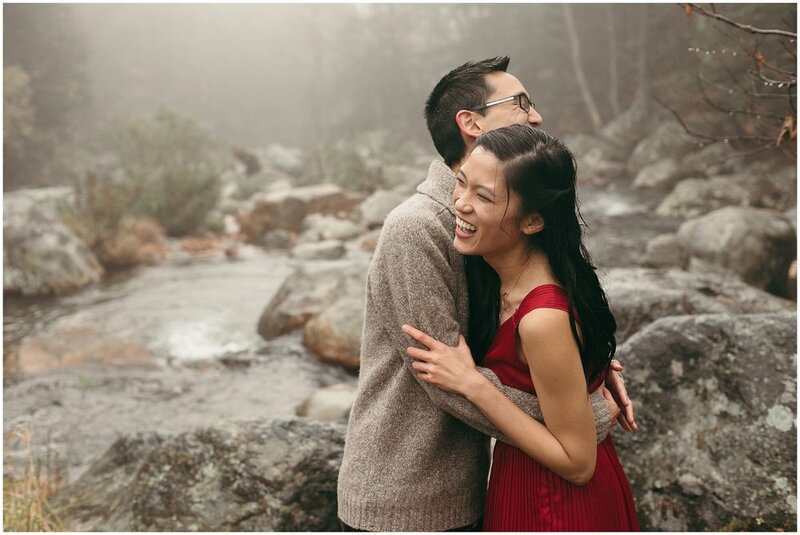 She’s a med student from Cali, he’s an Australian mathematician at MIT, and I’m a photographer that went to art school & grew up in New England- needless to say we don’t have much in common. But they were so sweet and engaging in conversation- we got onto so many tangents, we honestly didn’t talk about the wedding much! 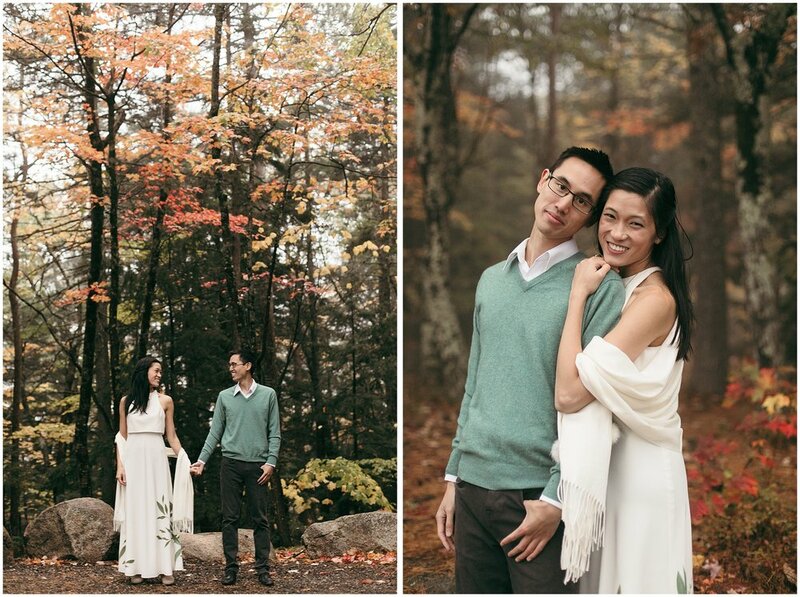 They met during orientation at grad school in the UK, and were friends for awhile before dating. They don’t even know when their “first date” was because their relationship developed so naturally. 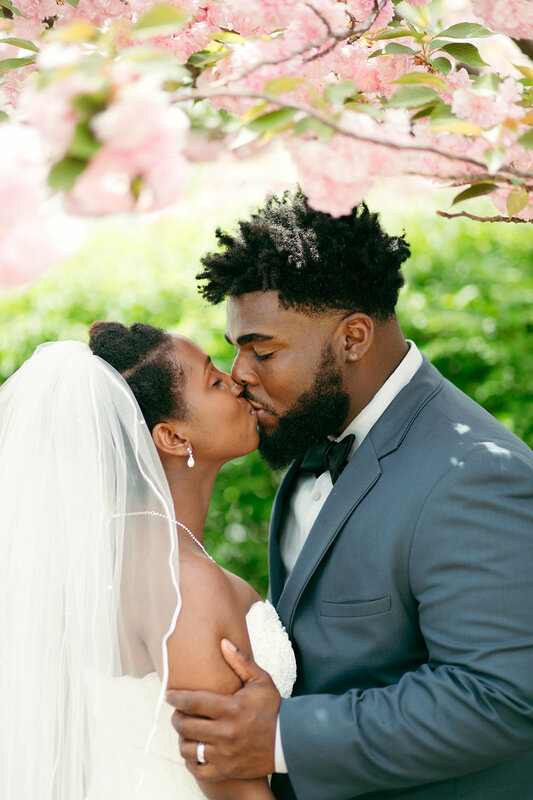 No one even really proposed- they just DECIDED to get married. 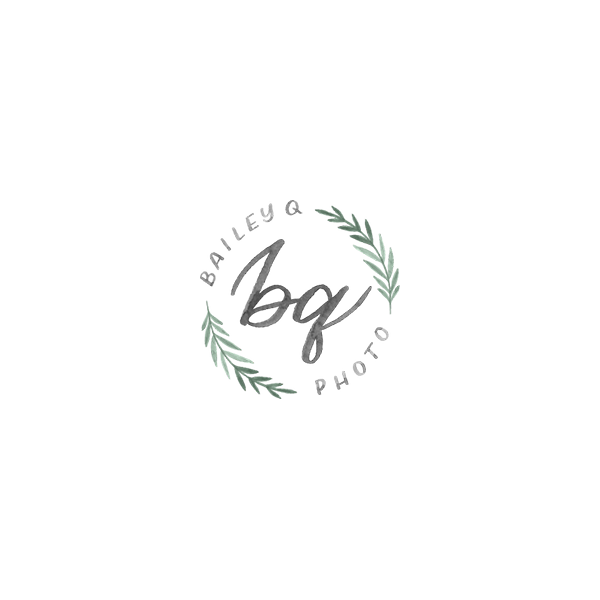 I love that- why make a big deal out of something you already know in your core? I have my own proof that Steph & Brendan are LITERALLY in sync with each other- when I asked them separately to name their favorite traits about the other, they both said the SAME. EXACT. THINGS! Seriously- it’s spooky! 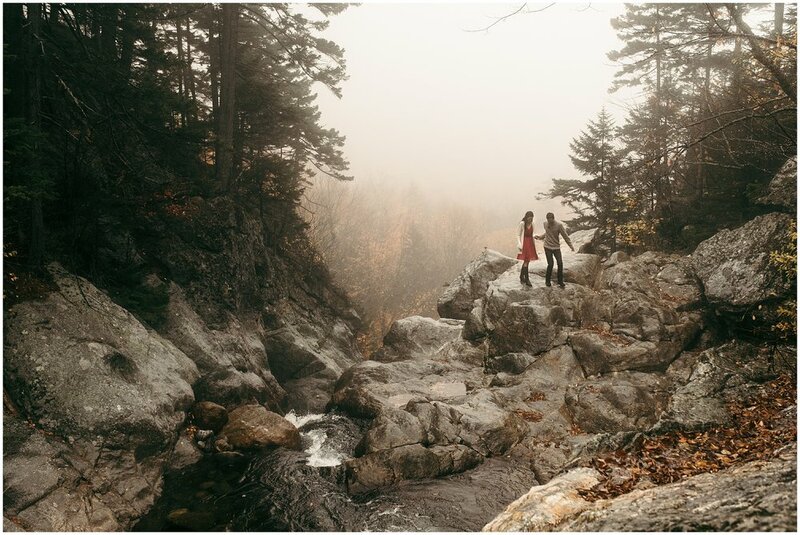 These 2 words pretty much sum them up, so it was no surprise that Steph & Brendan were determined to go on an adventure in the mountains for their engagement session. And I couldn’t have been more pumped! 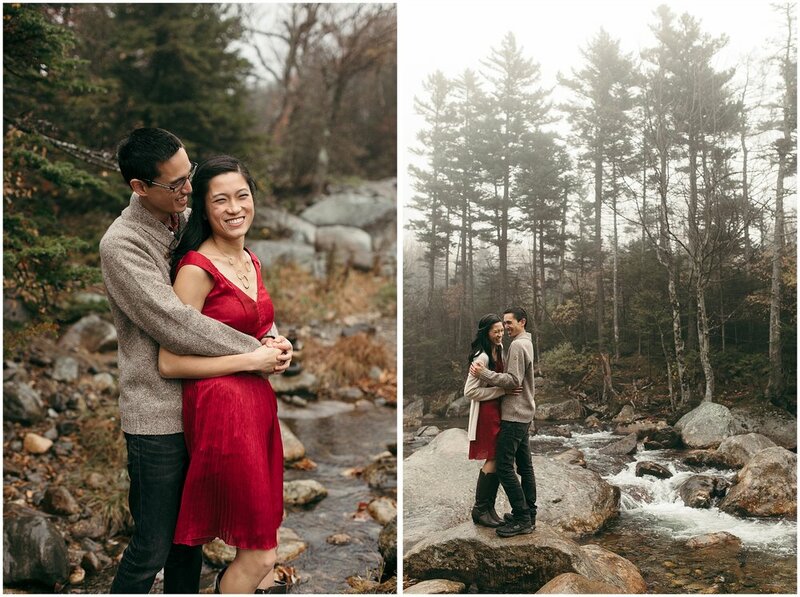 Hiking is one of their favorite things to do together, and they travel up to the White Mountains almost every weekend in the fall to take a break from the city and enjoy nature. 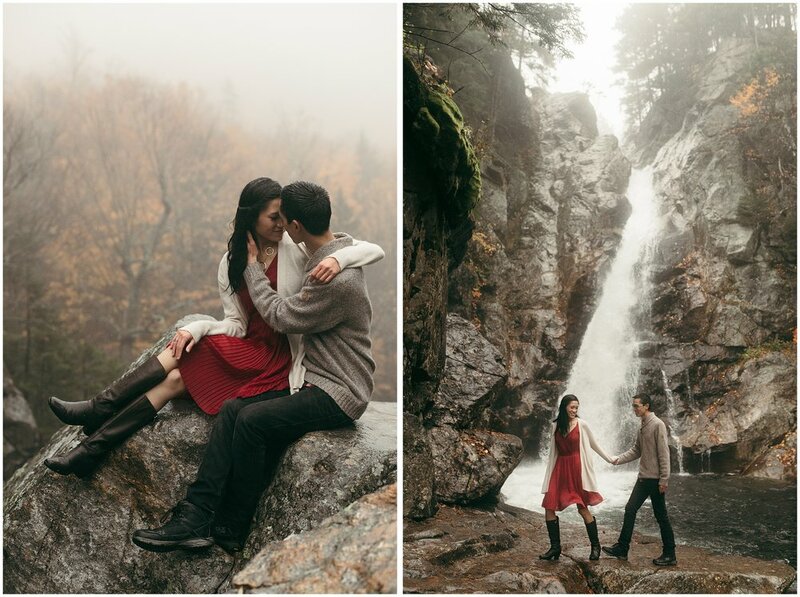 I love it when couples choose a location that’s special to them- it makes the photos even more meaningful! 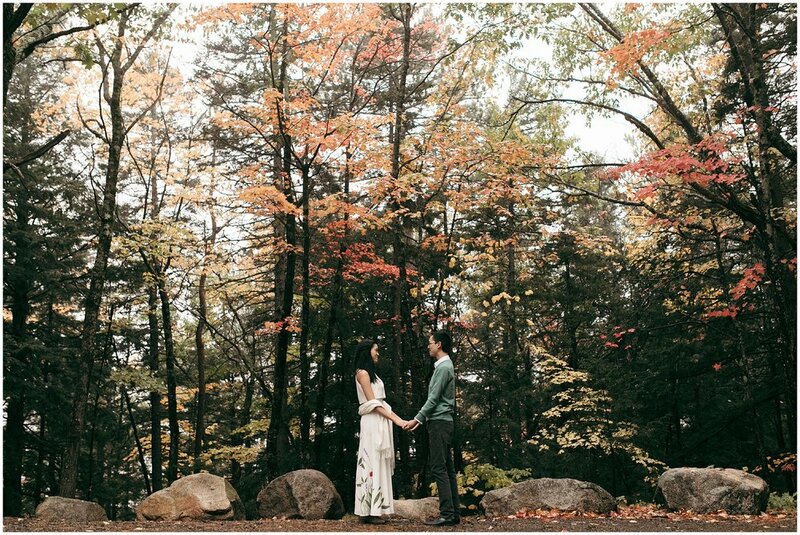 We spent months leading up to the shoot emailing back and forth, planning out which locations to shoot at, and locking in the perfect date for peak fall foliage. But alas, as the date was approaching, the forecast was calling for rain. I reached out to them sadly saying we might have to reschedule... But they responded by saying, “We're still down for shooting (even in the rain) if that's okay with you! It'll be even more of an adventure!” This is when I knew I found my people. Anywho, the day came and luckily on the drive up it wasn’t pouring- just a steady mist. We met up at GLEN ELLIS FALLS trail head, which was a pretty easy path considering the awesome backdrop the rocks & waterfall provided! We brought some umbrellas with us but quickly decided to embrace the rain. 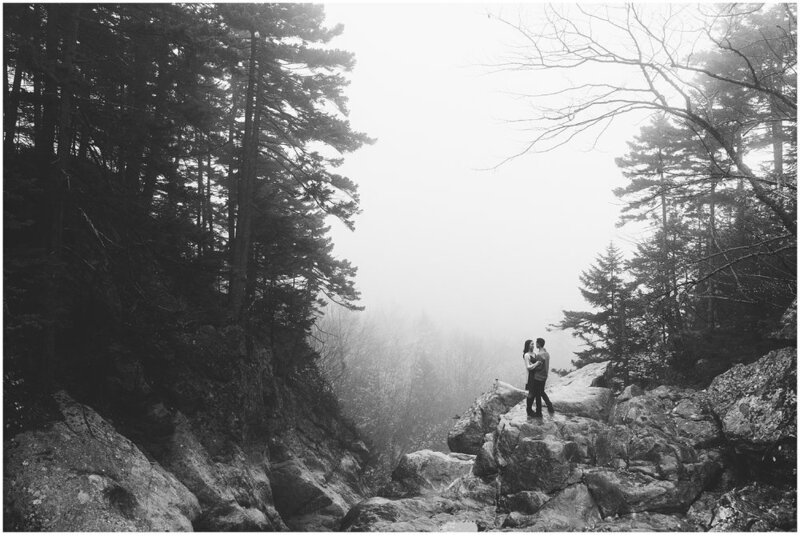 The mist was STUNNING and added so much depth & mood to an already beautiful place. 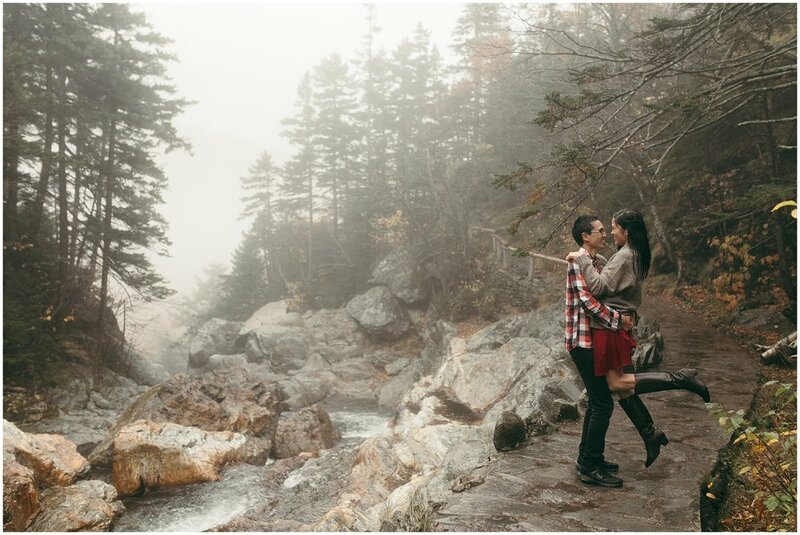 I immediately had the idea for them to step up onto the rocks on the side of the stream to get the trees fading into the fog in the background. I glanced down for a moment to dry off my lens, and looked up to find Brendan halfway across the stream hopping along the wet rocks, trying to find the best entry point for Steph! I was so nervous they were going to fall into the water, but they were fearless! 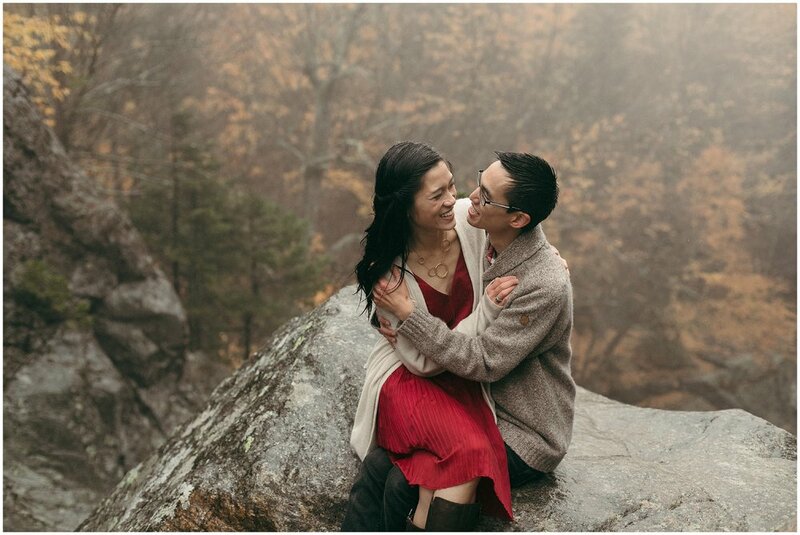 It’s usually a tough balance, asking something of my couples in order to get “the shot.” Scaling rocks, climbing into a bush, making out in public (or in front of their parents), trespassing on private property- but these guys put me to the test! Every time I looked away for a second, they were way ahead of me scaling another rock face, and I had no idea how they physically got there! Then we drove up to CATHEDRAL LEDGE as the sun was about to set, but it was so cloudy we were nervous we weren’t going to see much of a view from the top. I assured them it would be cool either way. But we got up there in absolute perfect timing, because the clouds cleared for just a few moments and you could see the tree line of the neighboring mountain peeking through. 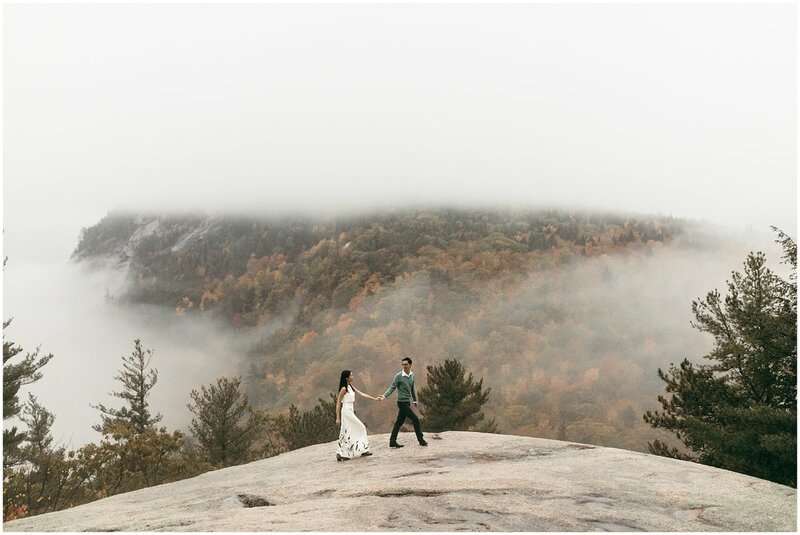 It was such a magical day, and the photos would have turned out COMPLETELY differently if the weather had “cooperated.” Needless to say, I’m glad it didn’t and we were able to create these epic photos together. 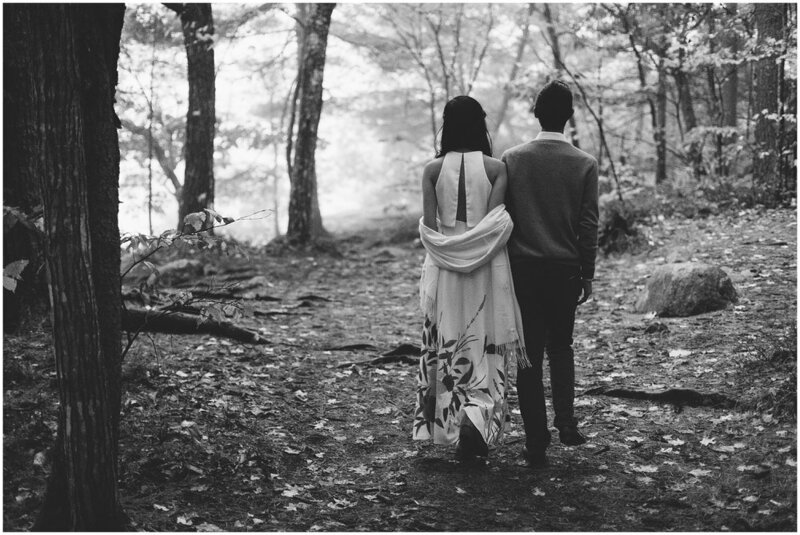 I can’t wait to hang out with these two again at their wedding at FRIENDLY CROSSWAYS this May!